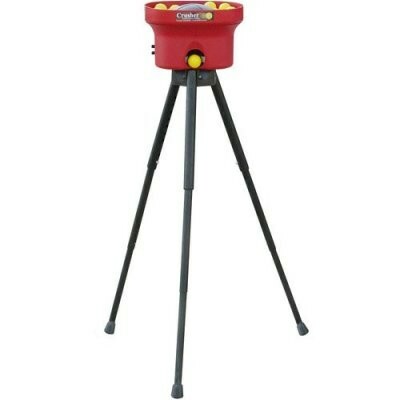 The Crusher Portable Mini-Ball Pitching Machine gives you the freedom and flexibility of 4 hours of rechargeable battery life as well as 110 AC outlet power. In addition to the Crusher , Feeder, Tripod and 4 hour battery, this package also comes with 1 Dozen Crusher Mini Lite-Balls. I would NOT recommend to anyone.!!! very cheap built, very flimsy, very inconsistant. if i could i would DEMAND my money back.!! !